Kelly Dawson Author: ...... COVER REVEAL!! 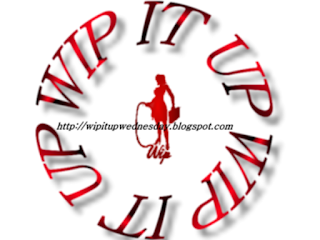 Welcome to my blog for this week's #WipItUp Wednesday blog hop! Korey at Stormy Night Publications has done an awesome job! Johnny approached Jessica warily, not wanting to startle her. She was in shock enough as it was, he didn’t want to add to her terror. And that she was terrified he had no doubt – he could hear it in her screams, see it in her eyes. “Jessica.” He spoke softly, crouching down on the ground near enough to touch her, but not reaching out for her. “Jessica,” he tried again. She looked at him through her tears, but she didn’t say anything; she was traumatised. Then she turned back to her family, pressing her face into their bodies, trying desperately to will them back to life. Johnny watched, helpless, as she screamed her outrage at the Indians, wailed her grief at losing her beloved, sweet mama, then turned her wrath on her father, collapsing on the ground beside him, screaming at his lifeless body the loudest of all. “You killed them!” she hollered, beating at his brutalised body with her fists. “It was you who wanted to come west!” she yelled. “We were quite happy, me and Mama! Now she’s gone and it’s all your fault! And Petey! He was just a baby, with his whole life ahead of him! Now he’s gone too and it’s all … your … fault.” She ground the words out between sobs, gasping for breath. Her flailing fists stilled and she curled up against the dead man’s chest, sobbing, her body shaking, a broken woman. Placing a gentle hand on her shoulder Johnny spoke softly in her ear in what he hoped was a comforting tone. “Jessica, look at me.” She didn’t. Gently, he took her hands in his own and disengaged her fingers from the death-grip they had on the lapel of her father’s coat, wrapping his arms around her securely and pulling her in close against his chest. “Shhhh,” he crooned softly, trying to calm her as though she were a baby. It worked. She responded to him, her sobs easing. Her shuddering slowly stilled, she got her breathing under control and began to relax in his arms. And she clung to him tightly, so tightly, as though she would never let go. Then she looked up at him and began to speak. “They came out of nowhere, they just rose up all around us, as though they came up out of the ground. The wagons were completely surrounded. I tried to tell Papa of the risk of Indians before we left Boston but he didn’t listen. And now look ... look at them now.” She burst into tears again, sobs wracking her body once more as she stuffed her fist into her mouth trying to stifle her cries. Johnny wrapped his arms around her tightly again, wishing he could shield her from the pain, wishing she hadn’t seen her entire family, the entire wagon train, get massacred. Keep your eyes peeled for The Ways of the West this weekend! Meantime, as always, please check out the other participants in this week's blog hop - these fantastic authors always have great snippets to share! Hi Kelly, congratulations on the upcoming release! So happy for you :) The cover is awesome. Poor Jessica, love how tender Johnny is being. Congratulations, and the cover is gorgeous! Wow, beautiful cover and dramatic passage!!! Thanks Melody! I'm starting to get REALLY excited now - release day is so soon! So heartbreaking! Congrats, and I love your cover! I know, I nearly cried writing it! Beautifully captured emotion, Kelly. Well done. Such a moving passage, thank you for sharing. Love the cover too.